Is this a new bull trend in Bitcoin? Is there a bottom in Bitcoin? Would you spend 1.000.000 USD per year to become a better trader? What does Price Action mean? 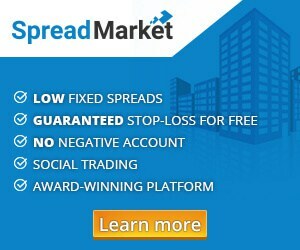 At Spread Market you have now the opportunity for the very popular social trading. If you’re interested in social trading, or you just want to hear more about it, then you have the opportunity right now. On Thursday at 20.00 Danish time, SpreadMarket will guide you through and present you for the all new opportunities in social trading. There is a ceiling of 100 participants, so if you want to make sure, than click on this link and sign up immediately. cmenay on Win book prizes every Friday! DISCLAIMER: All opinions, attitudes, ratings, reviews, information, and articles on this site belong to DaytraderLand.com. Any use of information on this site is at your sole risk. DaytraderLand.com disclaims any responsibility for the results of financial dispositions or speculations of our readers. You always trade at your own risk. Daytrading and CFDs are high-risk investments and are not suitable for all investors and you should ensure that you understand the risks involved and, if necessary, seek independent financial advice to ensure that these products meet your investment goals. All ratings, reviews, and attitudes on this site are endeavored to be as objective as possible. However, you must be aware that we may have affiliate agreements with external affiliates or receive advertiser payment for content on this site.